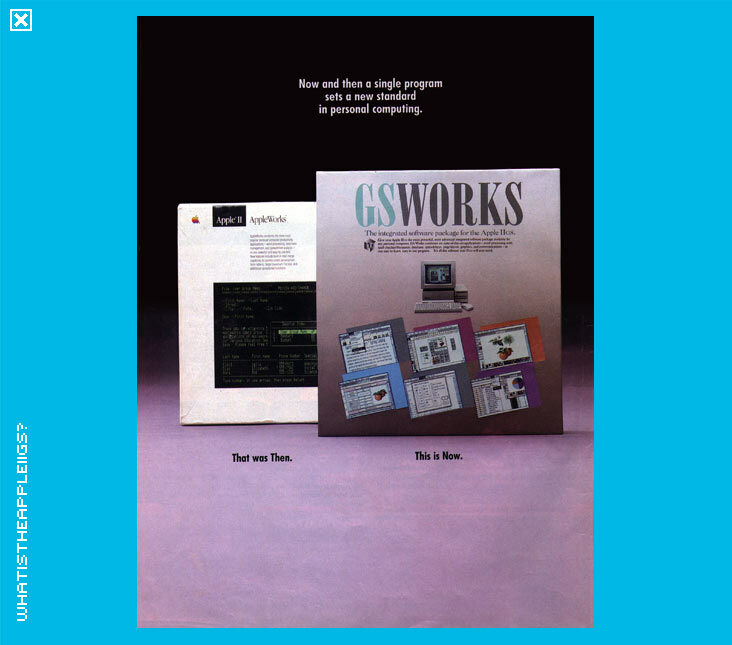 Appleworks GS was to be the killer application for the platform and was highly anticipated when first shown at AppleFest in May of 1988. The program was originally developed at Styleware, creators of Multiscribe (a word processor for both the 8-bit Apple II and IIGS specific version) and Top Draw (an object orientated drawing program). During development, Styleware began advertising the program in popular Apple II journals such as A+ and InCider. Such was the importance of the development of this program for the IIGS that Claris, a spin off company from Apple that developed the original Appleworks and was also responsible for key Mac applications (MacPaint, MacDraw, MacWrite, etc), stepped in and bought Styleware outright and its employees ended up moving to Claris' offices. 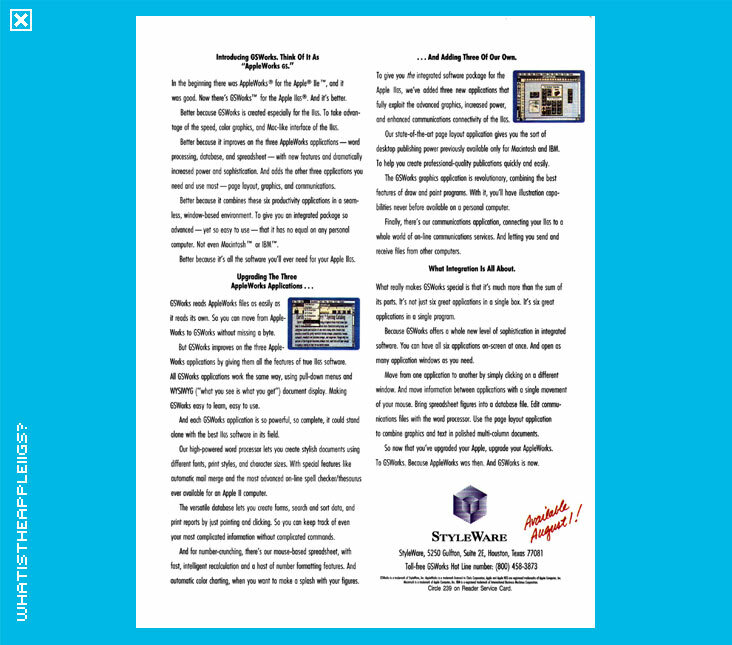 Bob Hearn, one of the developers of Top Draw and Appleworks GS recounts those days from his perspective. Appleworks GS continued the tradition of the original 8-bit Appleworks - it was an integrated application including word processing, spreadsheet and database creation. Improving on the original, the GS version also included painting, layout and telecommunications modules, all available from the one application, all available using the standardised Apple interface. This was in the day when no true integrated productivity applications were yet available for the Mac, including Microsoft Office, which were individual applications that needed to be loaded separately. And the response? 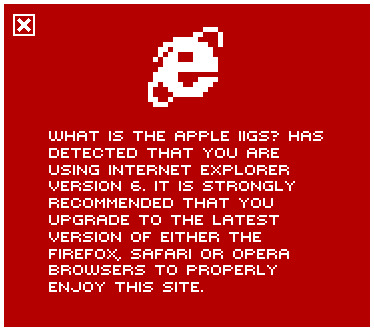 Appleworks GS' most common complaint upon its release was its performance - functional, but undeniably slow. So while it was more user friendly than classic Appleworks, its performance was such that many users simply kept using the original, which ran super quick on a IIGS and because of the program's smaller memory requirements it left a lot of free memory to accomodate those large word processor documents, databases and spreadsheets. The program was buggy, and incompatible with System 5 upon its release in 1989; so minor bug fix releases arrived and brought the program to version 1.1...and there it stayed forever more. For a program that cost $300 U.S., Claris' lack of support was less than overwhelming, contributing to the general ill-feeling towards Apple Computer, who were seen not to be doing nearly enough to support development of programs like AppleWorks GS. There were plans to update Appleworks GS, but not from inside Claris. Quality Computers had successfully bought the rights to the original Appleworks, and had successfully updated it to versions 4 and 5 and wanted to do the same with Appleworks GS, adding more features to the software and making best possible use out of System 6. However, due to complications with the source code and the time required to get anything out of it, the update could not be completed. Gareth Jones has written about the subject extensively.